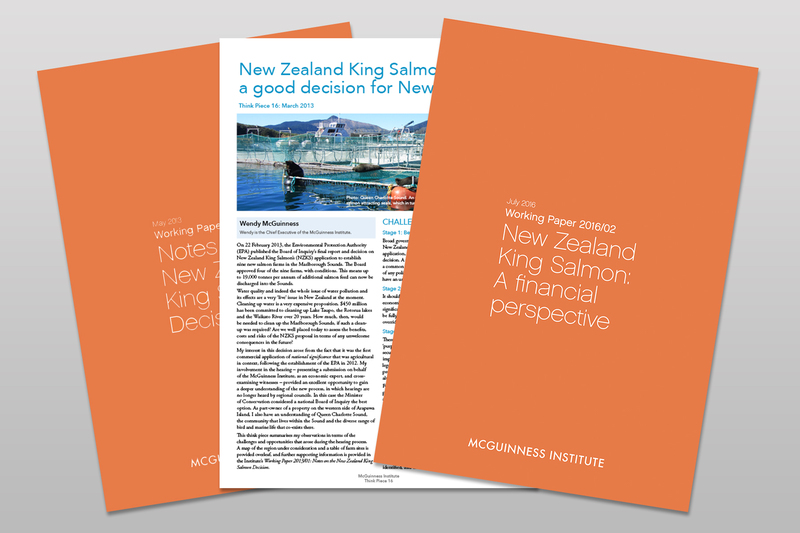 This paper provides an analysis of the current and prospective profitability, liquidity and financial stability of New Zealand King Salmon Investments Limited (NZKS) in light of the company’s request to use water space in the Marlborough Sounds for salmon farming. It also explores how the New Zealand government might best assess other companies wishing to utilise the public estate for their business purposes. Read the the July 2016 Working Paper 2016/02 here. You may also like to read our May 2013 Working Paper 2013/01: Notes on the New Zealand King Salmon Decision and our Think Piece 16: New Zealand King Salmon: Was it a good decision for New Zealand? The Institute continues to follow NZKS applications to use water space as a case study to inform our One Ocean project. Your feedback is most welcome.